The Silicon Valley veteran's venture fund is putting 'millions' into Privateer Holdings, but will they put it in their pipe and smoke it? There’s lots of cash in grass. As public acceptance grows and countries begin to contemplate legalisation, it’s estimated that the market for legal cannabis could be worth as much as $10.2bn (£6.75) by 2018 in the US alone. That being the case, it was only a matter of time before institutional investors got in on the action. Today the legal marijuana industry got its biggest stamp of approval to date as it was announced that Founders Fund, the VC firm created by Silicon Valley veteran Peter Thiel, had bought a ‘multi-million dollar’ minority stake in Privateer Holdings, a private equity firm for ‘cannabusinesses’. Further details are yet to be announced, but what we do know is Thiel’s outfit isn’t leading the round, which is expected to raise around $75m, and could reportedly value the company at more than $400m. ‘Privateer Holdings has emerged as the market leader in legal cannabis, which we believe will become a massive industry within the next decade,’ said Founders Fund partner Geoff Lewis, who added that the investment came on the back of 'several years' of analysing the industry. The business’s portfolio includes the website Leafly, the world’s largest cannabis information resource, and Marley Natural, a Bob Marley cannabis brand set to launch at the end of this year. Cannabis possession is now legal in the US of states of Oregon, Alaska, Washington, and Colorado, as well as Washington D.C., and more look set to follow. 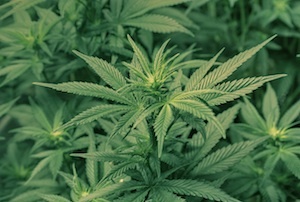 Other countries which have softened their legal stance on Cannabis include Portugal, The Netherlands and Uruguay, where the Government plans to control all legal consumption of the drug. Advocates of legalisation argue that it would boost tax revenues, create jobs and save money spent on law enforcement. If this indeed turns out to be the case in the US, MT wonders how long it will be before our political leaders take a lead - or even a joint - from our cousins across the Atlantic.